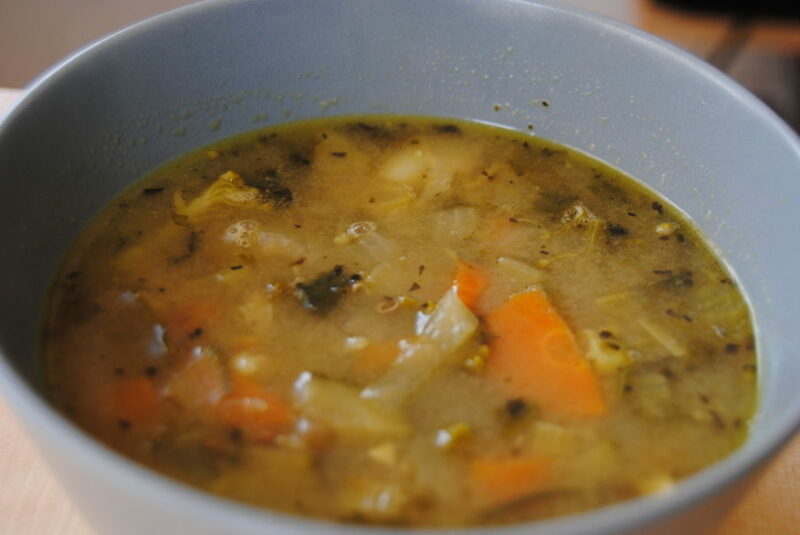 I tried something experimental with a homemade soup yesterday. I usually make the base of my soups with vegetable stock and herbs, but I decided to add a little coconut milk and it was delicious. It really changed the taste of the soup and gave it a lovely flavour. I usually start my soups with olive oil, garlic, onion and herbs. The longer you cook them, the sweeter the soup becomes. Once these have cooked off, just start adding any vegetables you would like in your soup. Add any spices that you would like and continue to mix everything together. 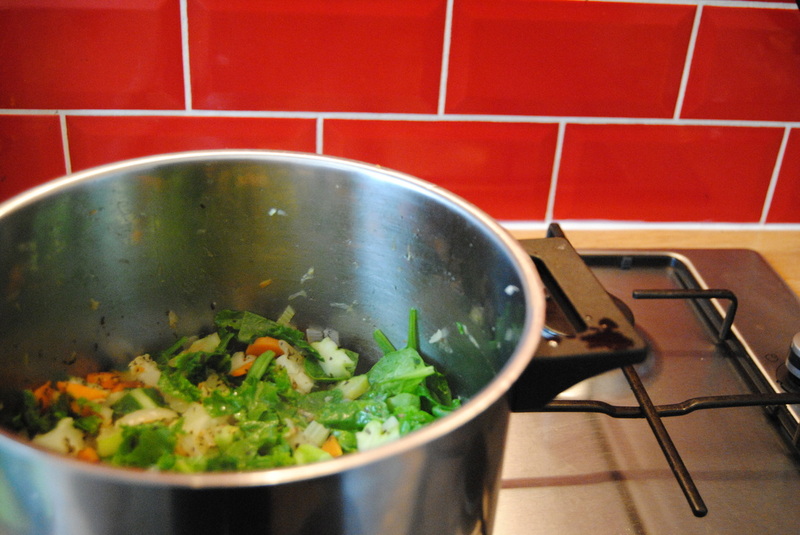 It produces a lovely aroma when there are fresh vegetables cooking in a pot with herbs. After about 15-20 minutes of cooking the vegetables, I usually add in the vegetable stock. I’m not there yet in terms of making my own stock, so I always make sure to buy an organic brand. The conventional brands often contain additives, colourings and MSG. 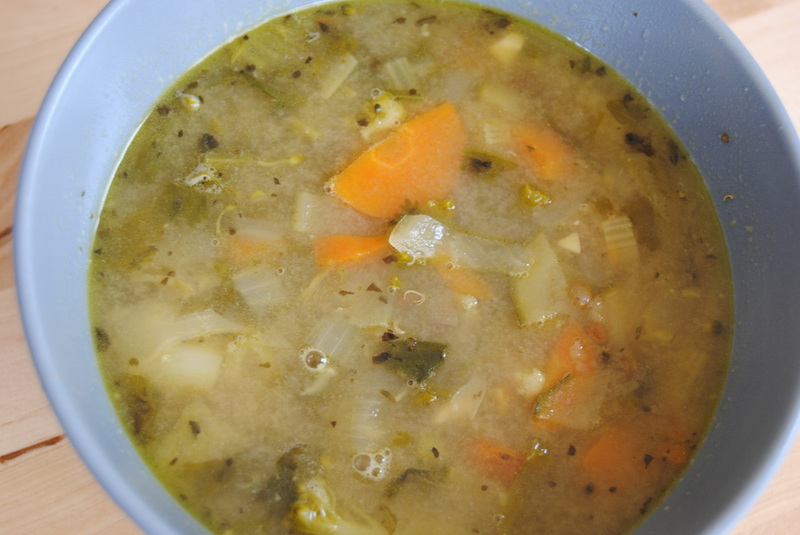 You can add as much stock as you would like, depending on whether you would like a thicker stew or a brothy soup. Once I added the stock, I also added in a can of coconut milk. The same thing goes with coconut milk with regards to organic brands. Conventional brands usually contain chemicals and additives. As with most dishes, they taste so much better a day later. I really enjoyed this soup but it tasted amazing the next day. I’m not sure if it was the spices or the coconut milk but it was a flavour I had never tasted before and it was so good! 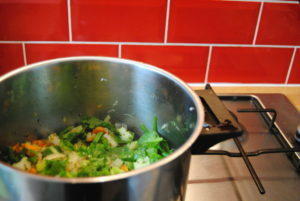 Cook the onion, garlic and leeks in a large pot with olive oil for about 5 minutes, continually stirring. Add in the mustard and coriander seeds next. 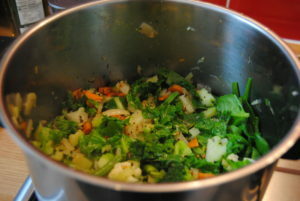 Continue to add the carrots and celery, followed by the remaining vegetables. Give them time to cook a little before adding in the next batch. Add the vegetable broth and coconut milk and bring to a boil. Cook for about 5 minutes then simmer and add in the lentils and quinoa. Add in a little more fresh cilantro (coriander) near the end. Remember – the longer it sits, the better it gets. Enjoy!